A professionally-installed safety switch is vital to the protection of your property and the safety of people in your home or workplace. When adding to or modifying any power or lighting circuits in an existing installation the installation of a safety switch is now mandatory. Safety switches work by monitoring the flow of electrical current through a circuit. If an imbalance is detected in the sub-circuit, they cut the flow of electricity within 0.03 of a second, significantly reducing the risk of electrocution. 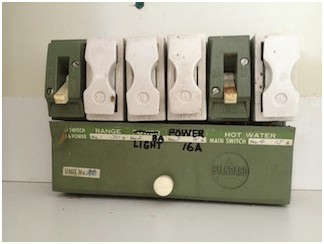 In Darwin, many properties have aged switchboards with fuses that supply power to lights, power points, hot water and other circuits. 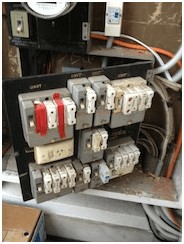 This is an old system that no longer meets current safety standards and can lead to contact with electricity. It is also highly inconvenient and dangerous to rewire the fuse if it blows. 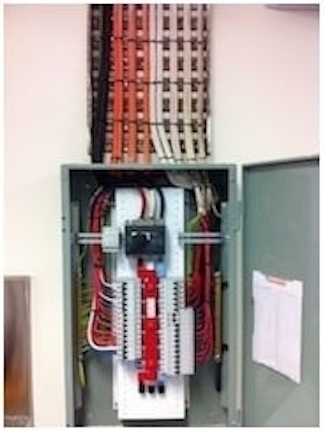 A picture of a fuse box is shown below to help you identify fuses. If you have fuses installed in the switchboard of your home or workplace, Florance Electrical can upgrade your system to modern safety switches that comply with current electrical safety standards. It is also important to check the earthing system as many old installations only carry an equipotential bond to the water pipes which is no longer compliant. If you are unsure of your electrical installation book your free safety inspection today and rely on the advice of a professional electrician. Upgrading systems from small domestic switchboards to large industrial three phase switchboards rest assured that no matter the installation we are here to help! 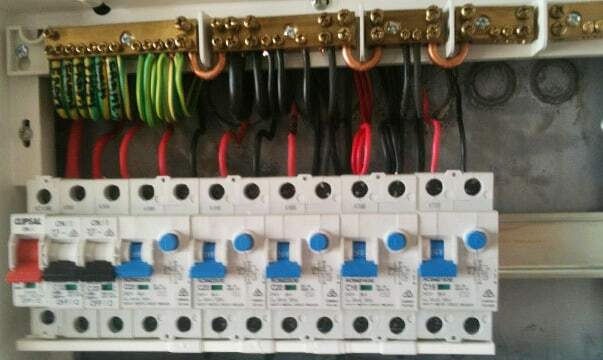 Our team of Darwin electricians are available 24/7 and experienced at installing safety switches in residential, commercial and industrial premises. Contact us for a free, no obligation quote and free safety inspection.